Don’t look now, but it’s already October 31st and you’ve run out of time to come up with an awesome Halloween costume. Look around and you’ll see that every second person is dressing up as a zombie or Miley Cyrus, or a zombie Miley Cyrus. You’re going to need some fresh ideas soon if you’re going to stand out at your Halloween party. 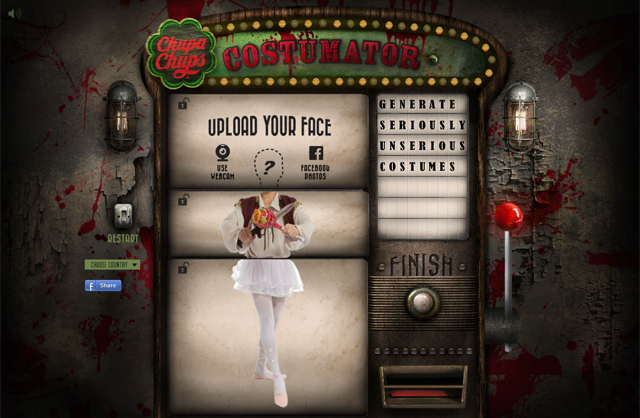 The Singapore office of BBH and Chupa Chups have come up with a solution in the form of the Costumator. 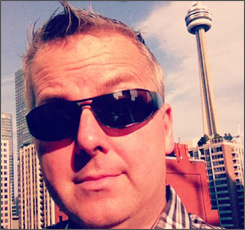 Simply grab a nice face-on headshot of yourself using your webcam or from your Facebook album, then pull the lever. The Costumator will take several costume ideas and assemble them into a single bizarre idea. You could end up looking pretty as Victorian Beckham, Julius Teaser or Miley Virus (you can’t get away from her).